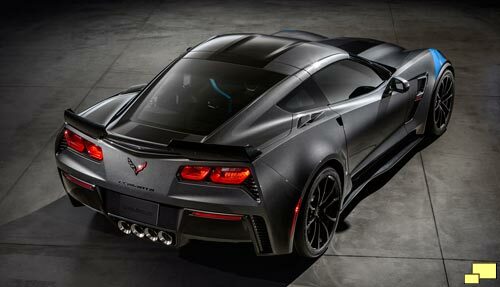 Duplicating a 1996 C4 model and, starting in 2010, with the C6, GM released a 2017 Corvette C7 Grand Sport. 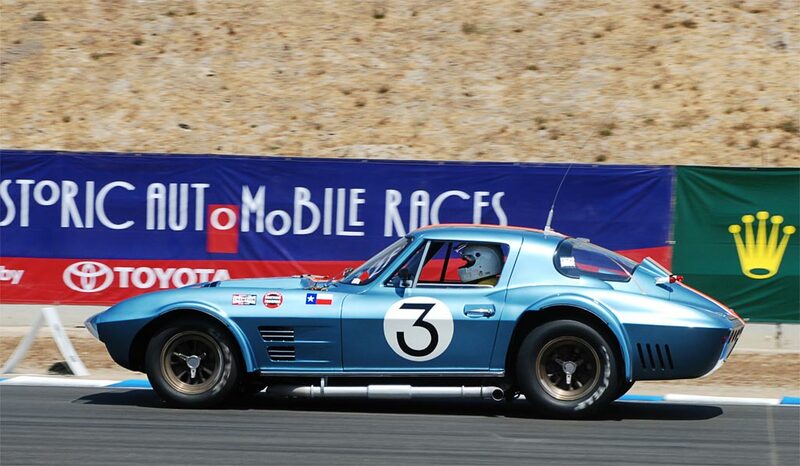 A tribute towards the 1963 purpose built race cars that were the brainchild of Zora Arkus-Duntov, Zora constructed five (below) of the (potential) Cobra beating speed kings before an upper management edict declared: "No More!". 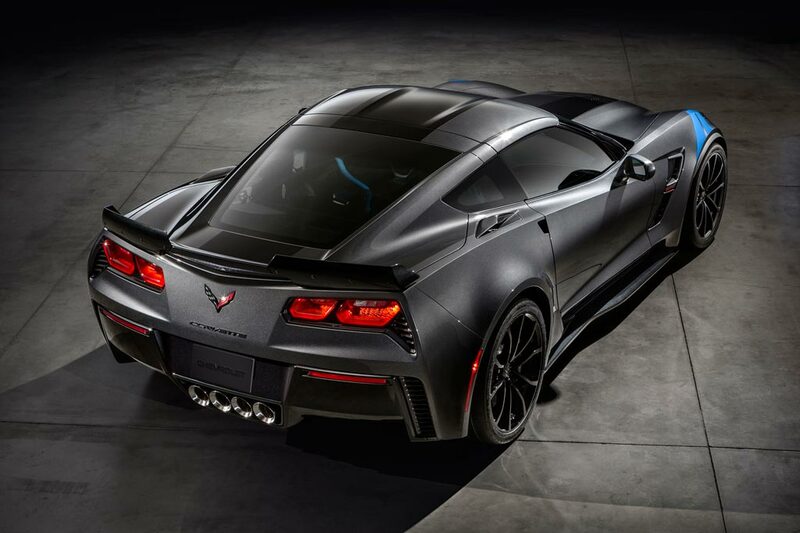 The 2017 Corvette C7 Grand Sport is essentially a Corvette Z06 without the supercharged engine and is aimed at those who want a solid track day competitor with the standard 460 hp engine. 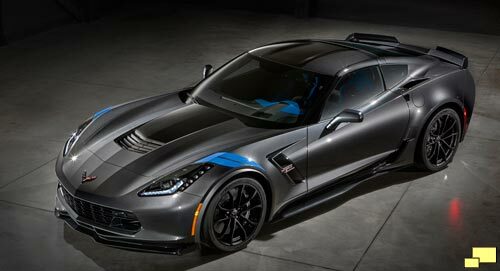 Items borrowed from the Z06 production line include the wide body (which allows the use of wider wheels / tires), Michelin Pilot Sport 2 Cup tires, Brembo brakes (although slightly smaller than those on the Z06), Z06-style grille and the (available) Z07 aerodynamic kit. 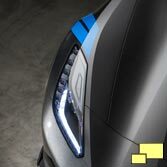 Both the seven-speed manual transmission and eight-speed paddle-shift automatic will be available on the Grand Sport. Pricing is $66,445 for the coupe and $70,445 for the convertible. Prices include the $995 destination charge. 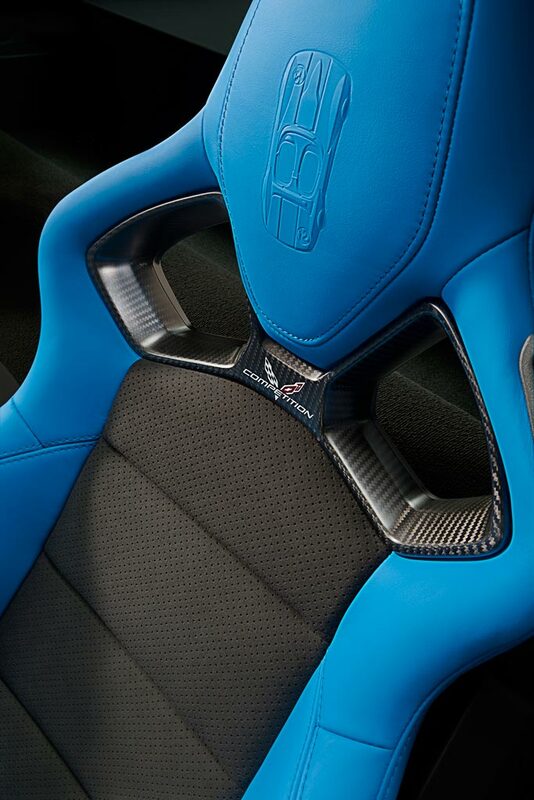 As one might expect, competition seats are part of the package. Right: Note the embossed depiction of the orignal 1963 Grand Sport in the headreat. 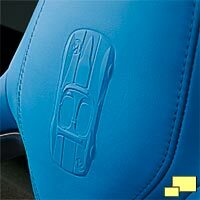 The Grand Sport Collector Edition features a Tension Blue full leather and suede-wrapped interior. 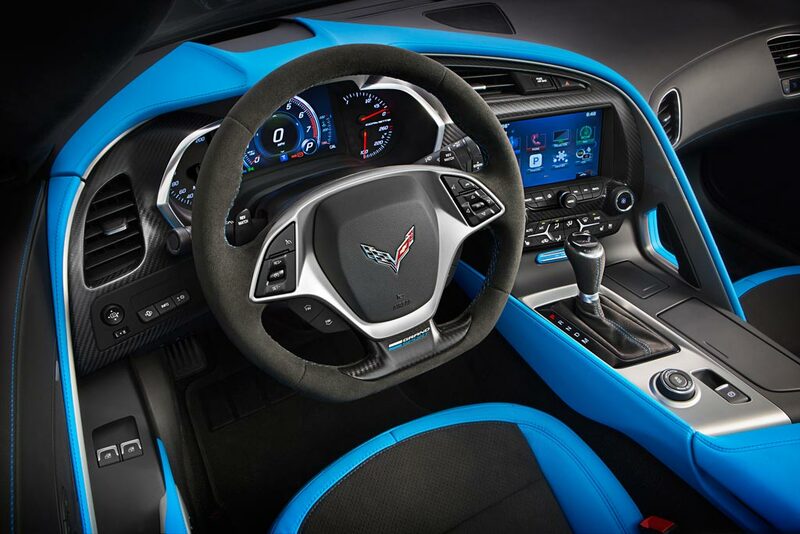 All the standard Corvette interior and exterior colors will be available on the Grand Sport. 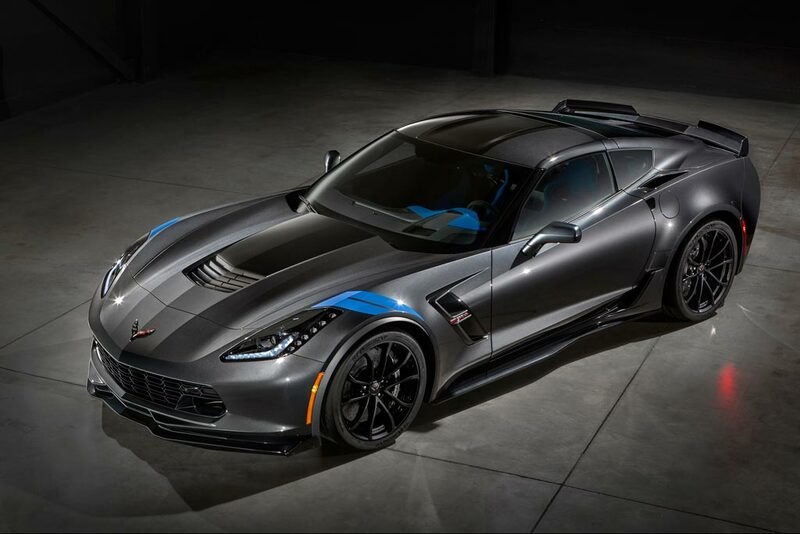 The 2017 Corvette Grand Sport offers wheels the same size as the Z06 (19x10 inches front and 20x12 inches rear) although the design is different. Also in common with the Z06: Michelin Pilot Super Sport summer tires: 285/30ZR19 (front) and 335/25ZR20 (rear). 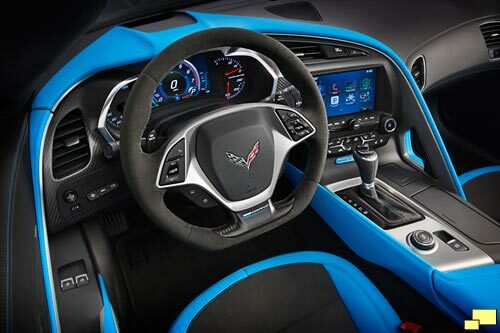 GM claims that the standard Grand Sport can pull 1.05g in the corners, and when it is Z07 equipped, 1.20g. 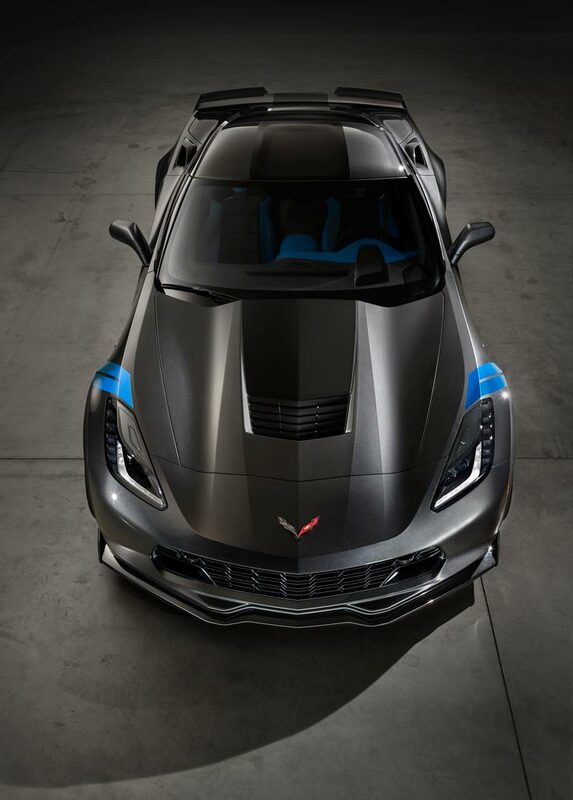 The wider front fender vent from the Z06 is also part of the 2017 Grand Sport but it does offer it's own distinctive design. 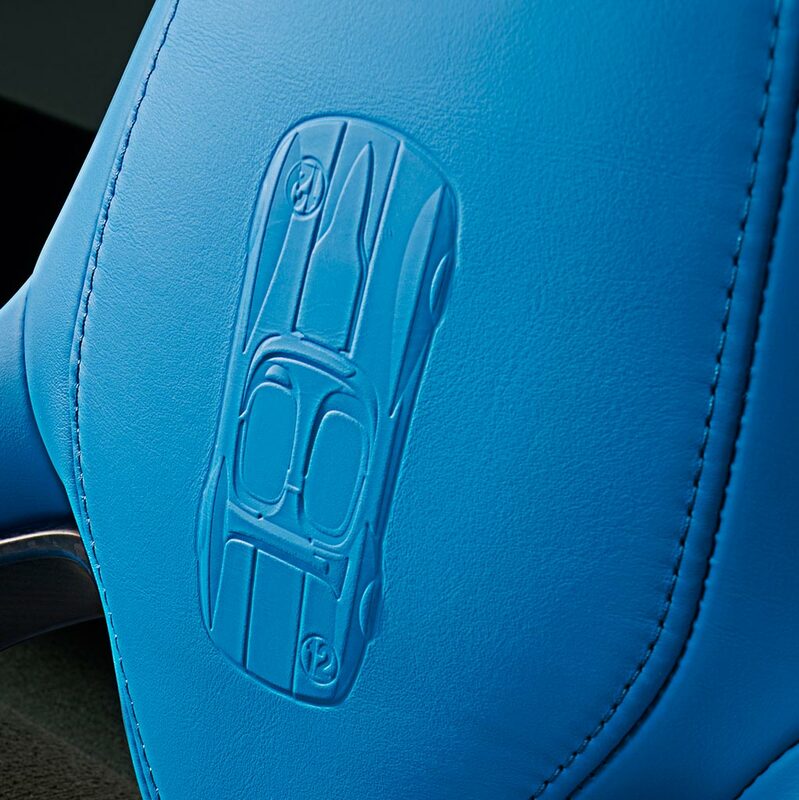 2017 Corvette Grand Sport front fender hash mark, part of the Heritage Package. 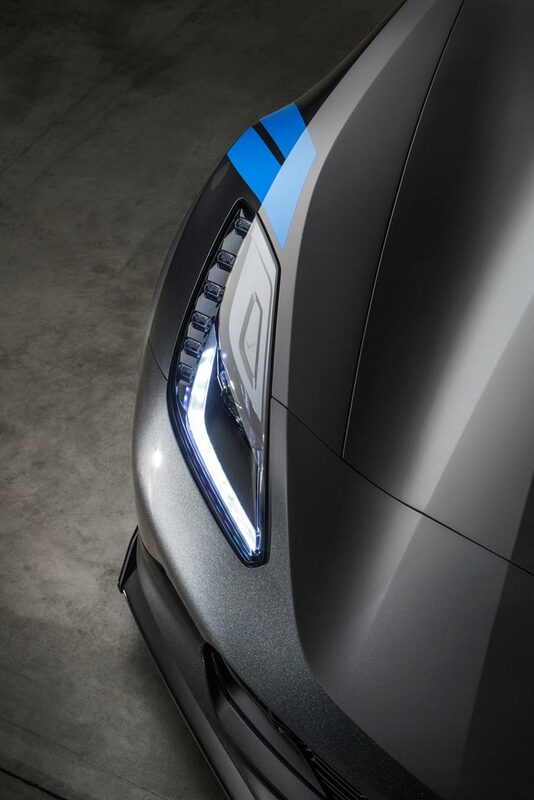 A nod to the racing days, they enabled the pit crew to quickly determine which car was in for servicing and could be found on the C4 and C6 renditions of the Grand Sport. 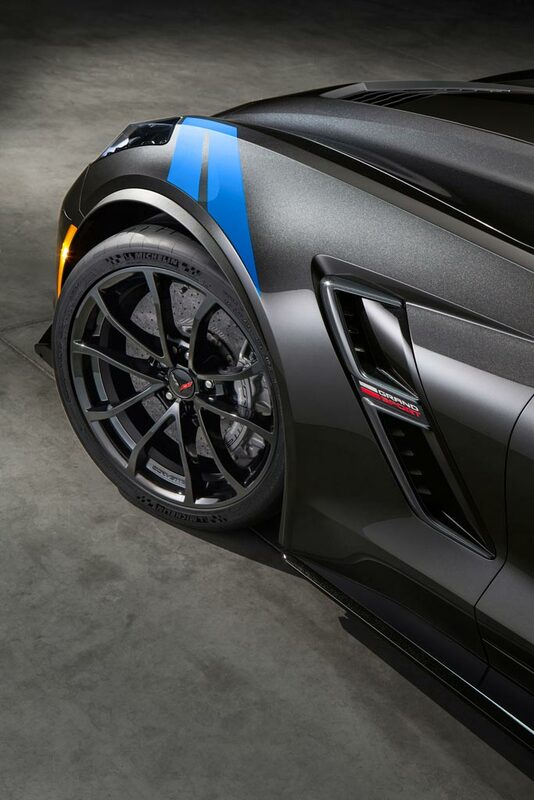 Unlike the C4 or C6 editions - or the race cars for that matter - the C7 Grand Sport features them on both sides of the fender. As with the 2014 C7 Corvette Convertible AND the 1990 Corvette ZR-1 introduction, GM decided to tell the world about their new track star in Europe, specifically the Geneva Auto Show. 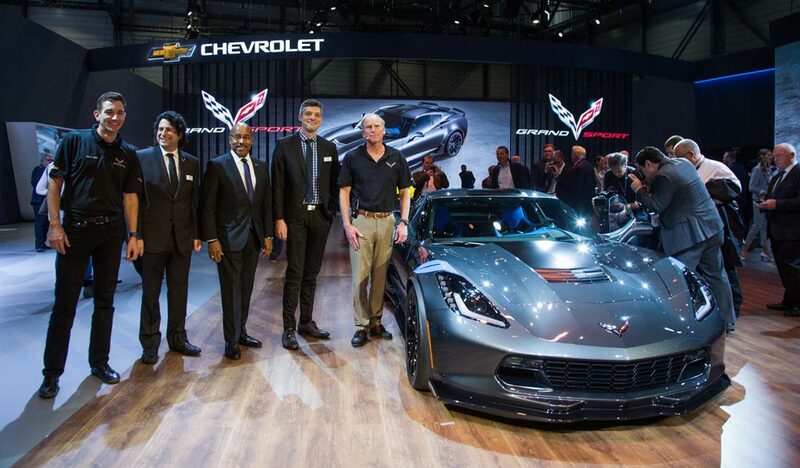 This is crucial to the message: That the Corvette can compete with the best that Europe has to offer. With all the power they are putting in the C7 Grand Sports now - its hard to imagine what they plan to do with the rumored C8 mid-engine. Its just mind blowing to what corvettes were doing only 10 years ago.